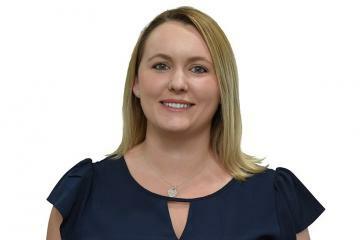 Joining the Real Estate industry in 2010, Kirsten has grown up with the industry and controls all administrative and Property Management responsibilities within the office. Focused on providing professional service, Kirsten prides herself on her knowledge and experience as Office Administrator/Property Manager. In this role, Kirsten can be found managing office systems, overseeing settlement transactions, liasing with our valued landlords and tenants and directly supporting the Principal while continuing to improve office systems and procedures. A well loved colleague and a dependable and professional employee, Kirsten is certainly a valued part of the team at Kevin Annetts Property. Situated in a superb location with 2 street frontage to Tindale Avenue and Gloucester Road all within 800 meters stroll to Buderim Village, shops, café, bowling club and Buderim school. A charming feel of yesteryear with French windows, lead lights, classic VJ walls and ceilings, solid hardwood timber flooring and sun drenched sleepout capturing plenty of breezes. Features include: * 3 bedrooms plus large lockable storage room downstairs plus large corner sleepout. * Covered veranda. Pet friendly and centrally located, the Nova complex is situated a short 10 minute walk to Mooloolaba Esplanade, Mooloolaba State School and the local Coles shopping centre. Situated on the 5th floor, this modern, bright and breezy 2 bedroom, 2 bathroom apartment will not last long. Features include: * Main bedroom with ensuite and walk in robe. * Second bedroom with built in wardrobe. * Open plan living/kitchen/dining. * Kitchen with ample cupboard space. * Laundry comes with dryer. This fully furnished studio apartment can be your new home. Situated in Alexandra Beach Resort which is just across the road from the patrolled surf beach and Alexandra Headland Surf Club. Features include: * Studio apartment * Fully furnished * Airconditioned * Secure Complex * Secure single car park * Lifts in complex * 3 pools and spa in complex No car? No worries! This apartment is just a short walk from the beach, local cafes and bus stops. **Sorry, no pets. ** Please note, electricity must be connected with a company that connects the electricity to all units in the complex. Fully Renovated 2 bedroom Unit - Walk to Beach! This fully furnished studio apartment can be your new home. Situated in Alexandra Beach Resort which is just across the road from the patrolled surf beach and Alexandra Headland Surf Club. Features include: * Studio apartment. * Fully furnished. * Airconditioned. * Secure Complex. * Secure single car park. * Lifts in complex. * 3 pools and spa in complex. No car? No worries! This apartment is just a short walk from the beach, local cafes and bus stops. **Sorry, no pets. Situated in a superb location with 2 street frontage to Tindale Avenue and Gloucester Road all within 800 meters stroll to Buderim Village, shops, café, bowling club and Buderim school. A charming feel of yesteryear with French windows, lead lights, classic VJ walls and ceilings, solid hardwood timber flooring and sun drenched sleepout capturing plenty of breezes. Features include: * 3 bedrooms plus large lockable storage room downstairs. * Lounge has air-conditioning and ceiling fan. 3 Bedroom Ground Floor Unit with Internal Garage Access!! Immaculate townhouse. Downstairs features: * Open plan kitchen, lounge and dining area. * Bifold doors that open the room to make it lovely and breezy. * Air conditioner and ceiling fan. * Separate toilet. * Separate laundry with dryer and storage shelves. Upstairs features: * 3 bedrooms with ceiling fans and built in cupboards * Main bedroom with ensuite * Timber floorboards * Recently renovated main bathroom with separate bathtub * Large attic for extra storage * Large linen cupboard. This lovely town house was renovated for ease, style and comfort. All lights are on dimmers. All window coverings are low maintenance, easy to clean timber shutters. ** An inside cat will be considered on application. 3 Bedroom Home In The Heart Of Maroochydore! This well designed, low maintenance home will not last long! Situated a few minutes drive from the local beach and a 5 minute drive to the Sunshine Plaza. This bright and airy 3 bedroom, 1 bathroom home features: * Large open plan kitchen and living area with air conditioner * Well designed kitchen with plenty of cupboards and bench space, dishwasher and gas cooktop * 3 bedrooms with ceiling fans, built in wardrobes and new carpet * 2 bedrooms with air conditioner and security screens * Modern bathroom with bath tub * Fully fenced, low maintenance yard * The property has solar power and heat pump hot water system to reduce electricity costs. At the rear of the property is a large concreted area with remoted gate entry. This area has a 3 bay covered carport with storage cupboard, another space that would fit a trailer or small boat and there is also a single lock up shed with roller door and sliding door access. * Pets considered on application Don’t miss out on your opportunity to call this house your home, book an inspection today. This tastefully renovated townhouse in Fifth Avenue Terraces offers the perfect lifestyle in one of the most desirable locations on the Sunshine Coast – Cotton Tree with its expansive riverfront parkland, patrolled swimming and surfing beach, Cotton Tree Aquatic centre, local shopping and all this prime location offers. Situated in a private position in the secure complex the two level townhouse has spacious living areas plus good sized courtyard area. The upstairs level has two spacious bedrooms, main opens to balcony overlooking the sparkling inground pool, capturing sun and coastal breezes. Fifth Avenue Terraces has a sun-drenched tropical oasis pool and entertaining areas. Full security intercom and secure basement parking. There are excellent long term tenants in place for the investor or just a wonderful part of the coast to live. Situated just two blocks to Maroochydore’s patrolled beach and popular surf club – an easy stroll and lifestyle location of the very best where you can swim, surf, fish, dine, shop, play bowls plus plenty of cycle ways along the beach and river to the park and Sunshine Plaza it’s all within a stroll of your front door. Don’t miss your chance. This will be rented!